Turtle Island Storyteller Dark Rain Thom | Wisdom of the Elders, Inc. I had a Grandmother who was Wyandot and was an herbal healer. Her Great Great Grandmother is buried in one of the mounds down there. Traditional teachers, I had my Grandmother. Every time she would see me, she would call my name and say, “Come with me and go take a walk. I have to show you this.” She would show me either something she had brought out of the woods to have in her garden, which was a medicine plant, or she would take me into the woods and show me the herbs, and the trees and the plants and tell me how she used them. On my Mother’s side of the family, her father was a Cherokee. My oldest Aunt married a Cherokee medicine man. He was quite elderly when they married but I was privileged to be taught by him for several years. So, I have mixed blood. If you’re looking at me, I have blue eyes from an Irishman back in the 1730s. I have absolutely no qualms about who I am or where I stack up in the stratosphere of tribal people because I know the culture I was taught. I know the religion I was taught. I know the traditions I was taught and I have always known who I am. My Great Grandmother as well as my grandmother and my Father always made sure that I knew who I was and who I came from. So, I have lots of teachings that I learned from all of them. My Father was the one who was actually my spiritual teacher. We lived in a town about 90 miles away from my Grandmother, so we were down there two or three days a week because my Father supported them, and helped garden. He was my spiritual teacher; he taught me my place in the universe. We not only need to know who we are, but we need to understand our place in the universe. He’s the one that helped me to understand my connection with what the other people would call nature, the other nations of creation. We have such a long history and such a broad spread out history. We lived among the Creek nation. Three of the Creek were a confederacy. They had eight different groups, if I’m correct, to their confederacy. Three of those were Shawnee groups. Washington wanted a history of some of the people, because the Shawnees were everywhere, he wanted to know our history. It was said that at the time of Columbus our relationship to the Creek nation, C R E E K, was very old, but our relationship to the Uchee was Ancient. The Uchee were almost annihilated by the Creek in war and they finally were absorbed into the Creek nation. In the 1970s there were only 50 some Uchee, true Uchee left. I don’t know what their current system is, but those were people. When I use the 500 years of oral tradition, I would have to go back to these other related tribes. I would not put in these oral traditions unless I could find a validating oral tradition in one of these tribes back before Columbus that we were related to or interacted with or lived among. The Koonas, who now live on San Blaz Island off of Panama, at one time lived in Mexico and in the Yucatan. They helped build boats for a migration of about 30,000 people. We have a tradition that we migrated out of there and part of us went around the land mass and part of us went across the Caribbean in boats. These people who lived there, because we were from the center of the land, helped us build the boats. So I felt better about putting in our oral tradition that we migrated across that Caribbean or around the arm. The reason we split is we knew that we were not sailors. We heard of the storms across that big Caribbean. What if we all drowned? Well, if we all went around the landmass, there were Cannibals along the way. What if we were all captured and all eaten? So we doubled our chances and split our people. We have a tradition of when we met and where we met. We do have a rich history, we know who we are, we know where we come from, we know where we were, and we know where our ancestors are. There is such richness of story and conflict, and loss, and good things. My western friends will never know about my people, or other Algonquians, or the Iroquois nation who have tried to find every way they could think of to make things work between the different cultures and to find ways of peace amongst us. We all feel that we were given a spiritual responsibility for this earth. Even though we don’t live on the same parcel of land that our ancestors did, none of us have ever been told by the Creator that we are free of that obligation. We are still responsible for protecting and preserving the earth. When you see a lot of Native Americans on both sides of that Mississippi River, fighting for environmental causes, or logging and things of this sort, it’s because they are filling their spiritual responsibility. We’re few in number now because we’ve been so decimated with diseases and intermarrying and loss of culture because of these other things, but we can still teach. We can still teach the dominant culture to respect what they have, what we all share. And so again, this Lewis and Clark Expedition and commemorating its 200th anniversary, after 200 years the scars have healed enough that we can talk. We can listen without either side being on the defensive now. The tribal people still have things they taught Lewis and Clark that this generation needs to be taught. We have things we never had a chance to teach and share and now we have a chance. We’re getting to talk to the elders and the language preservation programs, the cultural and religious preservation that is coming out of this. This is all retooling the Indian people to continue their spiritual responsibility. If we aren’t people enough to do it physically, we still have the moral obligation to do it by teaching it to those who can and so we do. Teaching respect for all of our relationships are built on this respect. Shawnee and Algonquin elder, Dark Rain Thom, is a traditional elder and tribal historian. Scientists, linguists, anthropologists, historians, and archeologists agree that the Savannah Indians and the Shawnee are the same people and are the now the modern day descendants of the Fort Ancient Mound People. Shawnee means “People of the South Winds.” Dark Rain’s father was part Shawnee and part Wyandot and several other tribes, while her mother’s people were Cherokee from Alabama. Shawnee ancestors traveled the land east of the Mississippi. Most Eastern Tribes were removed West between the years 1830-1842. The Shawnee have many branches. Today, three are federally recognized and five are not. Dark Rain’s branch was granted recognition in 1980, but after 17 years the State of Ohio has currently decided not to acknowledge this recognition. The tribe’s headquarters and ceremonial grounds are in Champaign County while their business for tourists is in Logan County. 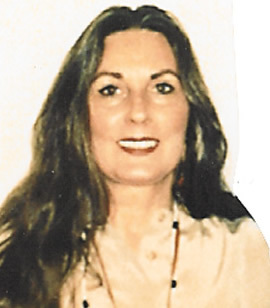 She lives with her husband, James, near Bloomington, Indiana and has served on the Shawnee tribal council for over 30 years. Dark Rain shares with diverse audiences the history and oral tradition of her people, place of origin and migration stories, as well as medicines, food, life ways which includes traditional etiquette for young people, and spiritual values. She tells stories of going hunting with her great uncle and how she was tested for her hunting skills, even though she was a girl. Dark Rain strives to serve as a bridge between two cultures that share this land. She knows songs and dances that have been passed down from tribal family to tribal family. She is one of the teachers of the young warriors in training, works with young girls, teaches medicinal herbs, and traditional healing. She also tells the history and traditional uses of cultural artifacts and heirlooms that have been passed down for generations in her family. One item in particular is an octopus bag, which is one of the oldest known pieces of Shawnee beadwork in America today.